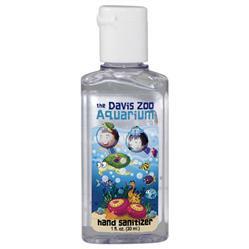 1 oz Custom Hand Sanitizers with your promotional logo by Adco Marketing. 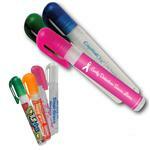 Popular size for trade shows and healthcare giveaways. 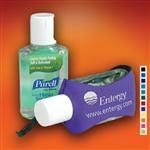 Both the bottle and hand sanitizer fill is Made in the USA! Full color logo label. The 1.0 fl oz. bottle (30ml) features a Tuf Gloss™ label that's scratch-resistant, waterproof and customizable with a four-color-process imprint of your choice (also available with multicolor clear or white labels). Rush available! Available Colors: Clear bottle with full color label. Production Times Available: FREE 1 to 2 Day Rush Available - one color only. Full color is 5 working days. Available Imprint Options: Full Color on White Label. Inquire for clear label. 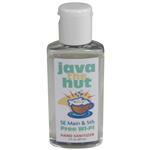 1 oz Custom Hand Sanitizer with Full Color Label, Made in USA.